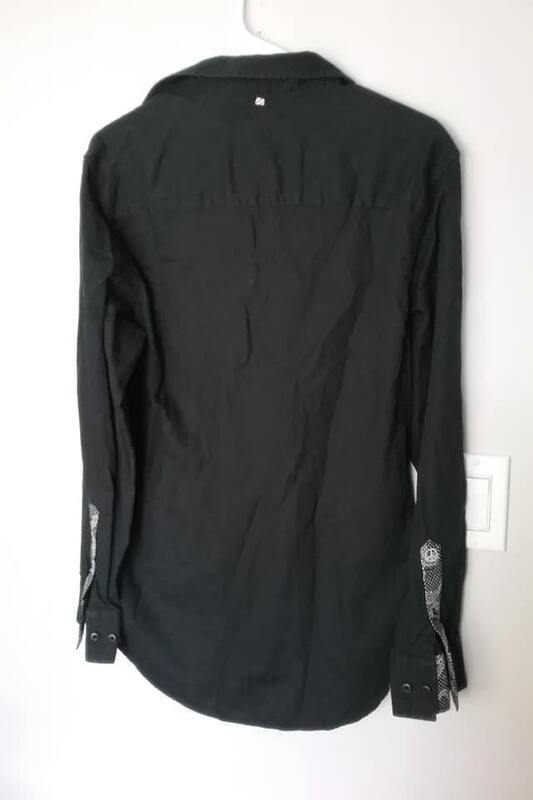 Vintage John Lennon black dress shirt. Made by, English Laundry as part of their, inspiration by the legend's style. 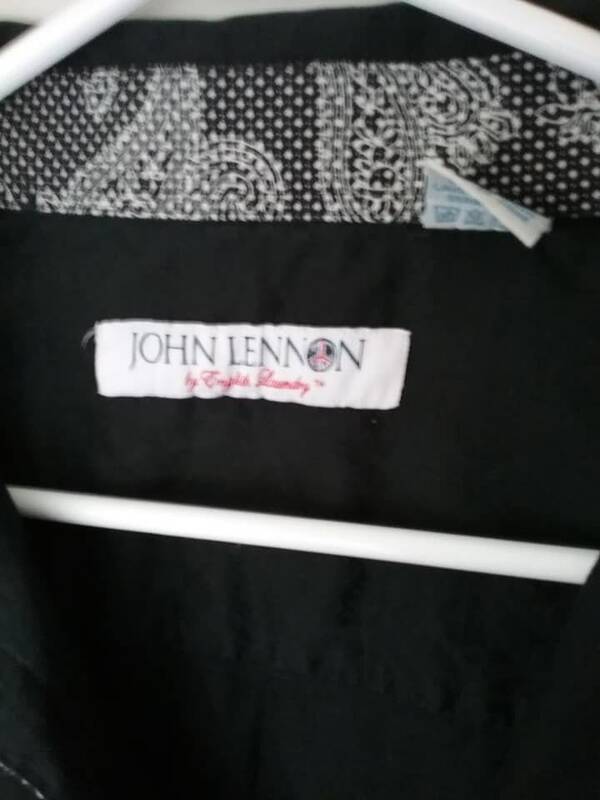 Their shirts are based around what Lennon would wear in the late 60's, up to the period of his tragic death. 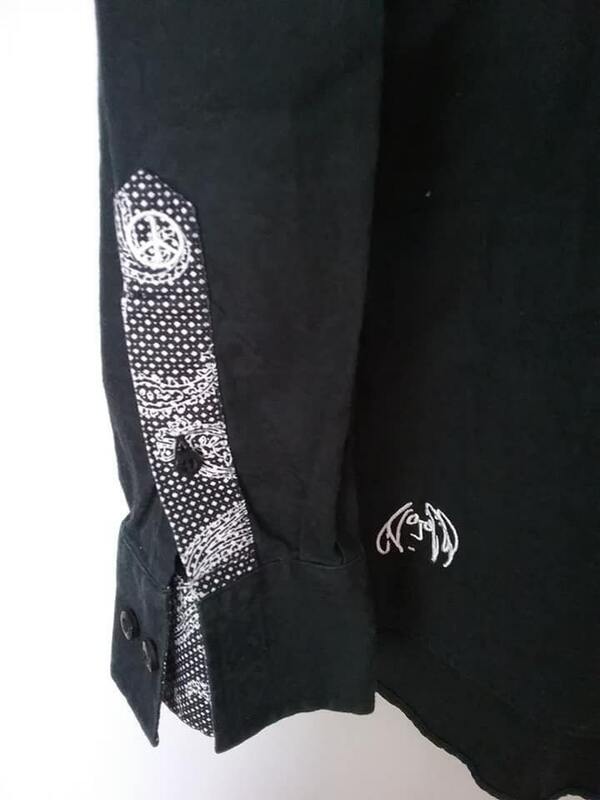 There are specific embroidered features seen on every shirt, including...peace sign buttons, British tabs, a caricature of John, and the use of Paisley print. 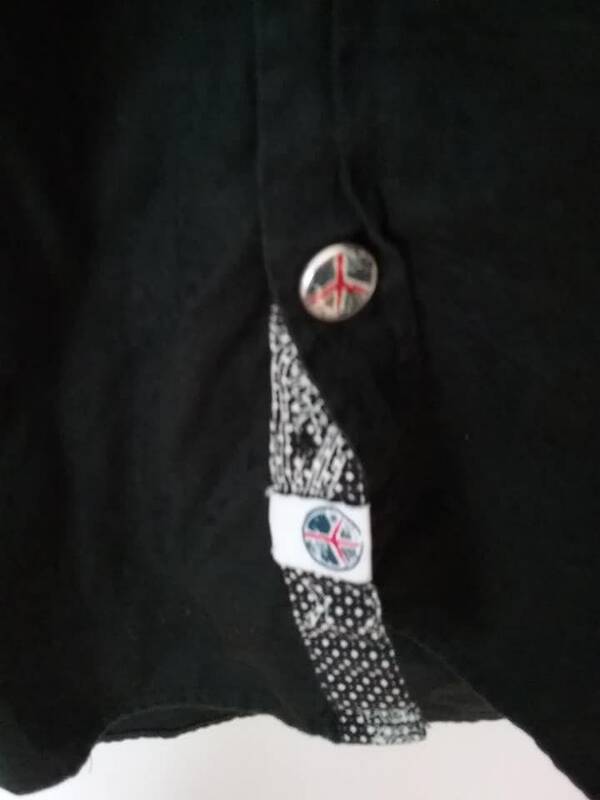 This shirt has it all! 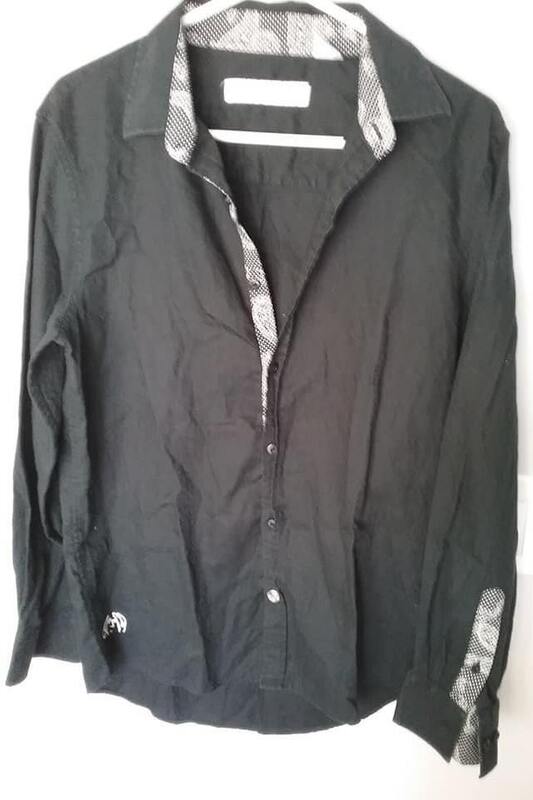 (see the pictures) This black shirt is highlighted by strips of white with paisley pattern, inside the collar, down the front buttons and around the cuffs. 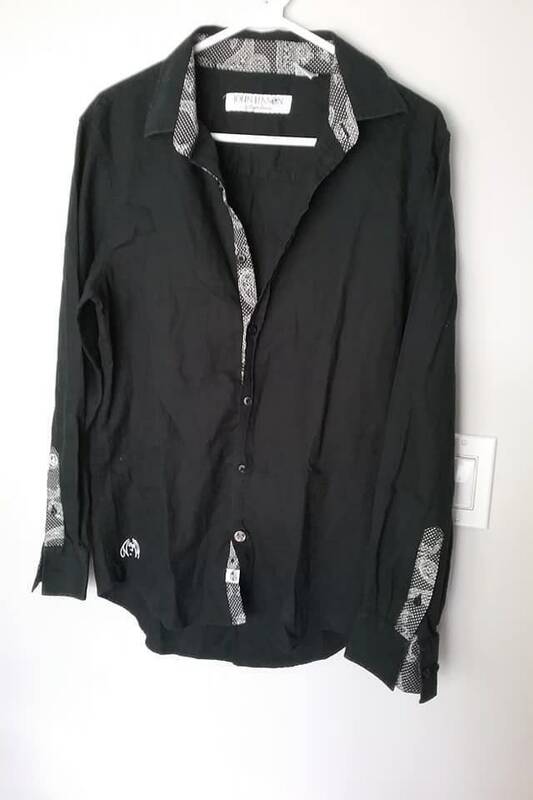 It is in very good to excellent vintage condition, and is quite fitted, so I my suggest it fit a size small, more comfortably. Approx measurements laying flat and buttoned, armpit to armpit - 20", and length - 28". It is a remarkable shirt, inspired by a remarkable legend!